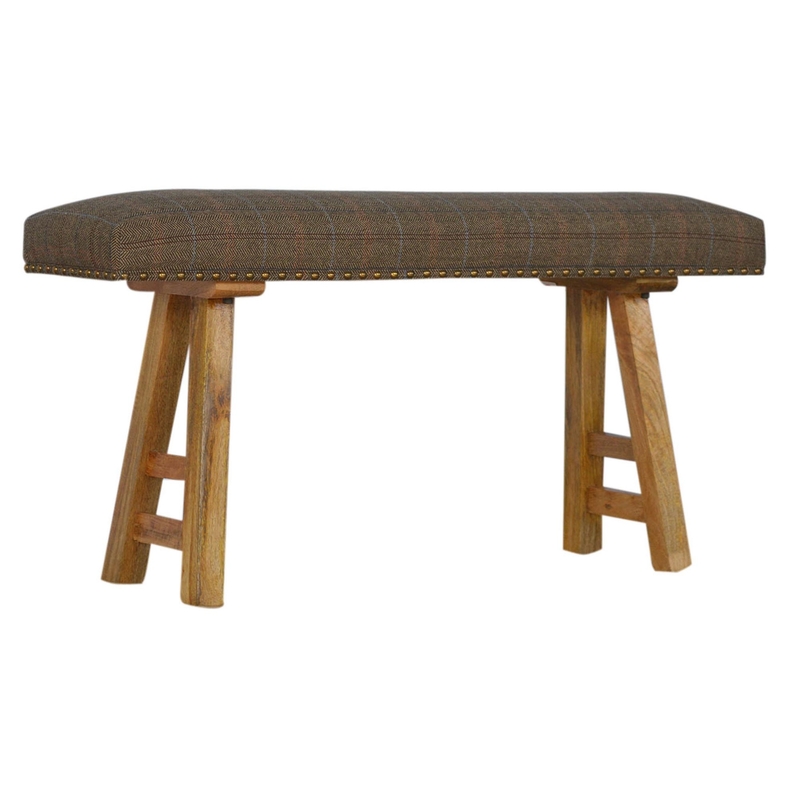 Add some style and update your home with this multi tweed bench inspired by simple contemporary designs, perfect if you lack seating in your bedroom/living area. Made from 100% mango, this wonder bench has been built to last. Handmade Multi Tweed Studded Bench will also look perfect in a hallway, the end of a bed or as a standalone piece of furniture thanks to its oak effect finished charming legs and overall simple but stylish design.